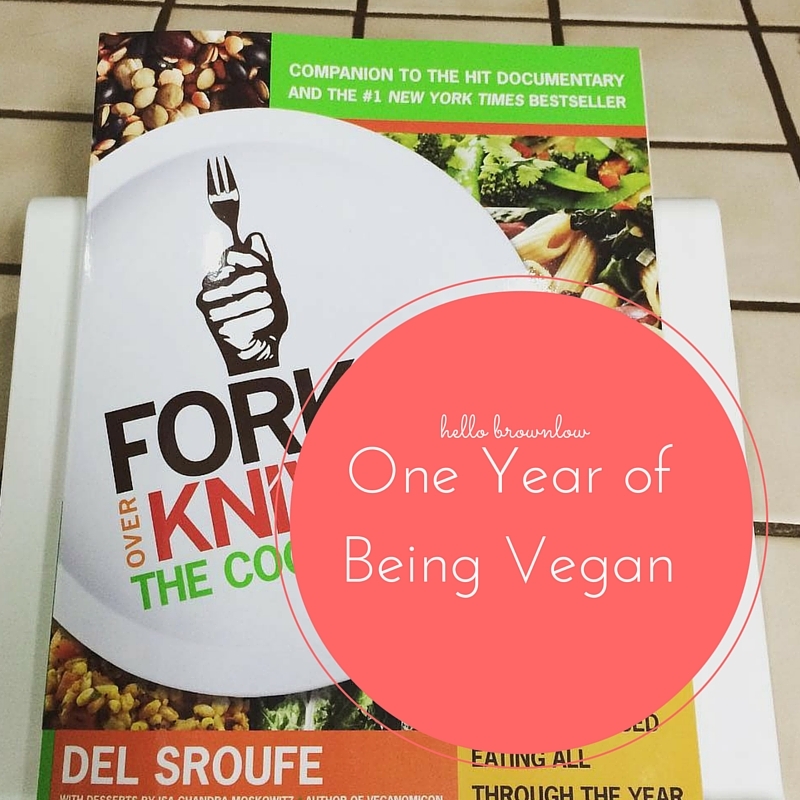 We have been vegan for a full year now. It’s kind of crazy to say “We haven’t eaten meat in a WHOLE year!”. We don’t think of our diet as specifically not eating meat: we look at it as getting healthier. It’s crazy to think that in a year’s time my passion for cooking went from zero to 100. I love cooking for myself and my husband. I can taste more and I don’t feel horrendous after eating (example: meat sweats). My time spent in the kitchen is figuring out what flavors work best together and not butchering meat. When people ask what hobbies I have, I automatically say that it’s cooking. In the past year, we have lost one grandmother unexpectedly and we discovered that another grandmother has very advance heart disease. We’re talking only 20% of her heart isn’t blocked. This is terrifying and I found this out just weeks ago. The leading cause of the blockage in her heart is from a greasy, meat filled diet she has had her whole life. Everyday, she is a reminder of why we went vegan: to get healthy. One year ago, we told ourselves that this was a temporary diet. That we would only do this for 6 months or so. But we haven’t stopped. The more we learn about food and the effects that it has on our health, we continue to be vegan. Sure we have watched documentaries here and there, but the most powerful one for us was Forks Over Knives. We saw the drastic difference in diets across the world and how the consumption of meat effects them. I didn’t want to be another heart disease statistic. I am about to list what helped us go vegan. This won’t work for everyone, nor will everyone stop eating meat. What my husband and I did was our choice and we are better for it. Talk with your spouse/best friend/family – This was key for us. We started thinking about going vegan some time before we actually did. It was maybe a month or so beforehand. It is fantastic to have a support system that is close to you. Because it’s really hard those first few weeks! You can’t just order a pizza for delivery from any ol’ pizza joint! We had the support of each other and that has what kept us going in the beginning. Stop shopping for meat/dairy – You won’t eat it if you don’t have it. We stopped shopping for meat a week or so before we went full on vegan. My last meal was bison burgers (from random meat in the freezer). It was so greasy and made me so sick that I was ready to give up meat the next day – cold turkey! The less dairy or meat that we had in the house, the less likely we were going to eat it. Cold turkey – Just do it. DO IT. We went cold turkey (mostly from the side effects of a super grease bomb of a burger) and that was probably the best thing we could have done. If we wouldn’t have one day given away the rest of the non-vegan food in our house, we wouldn’t have done it. We would still be here eating turkey burgers in an attempt to be healthy. Yes there have been times where we fudge a little bit on the dairy aspect, but we have never eaten meat. Yes, it’s hard to find a “vegan” restaurant, especially if you live in the midwest like us…. in the middle of cattle raising country. But if you know what to look for on menus and are very focused, you can do it! You can find a grocery store (that’s not crazy expensive like Whole Foods) that sells vegan food – it’s called the produce section! If you are motivated, you can do it just like we did.